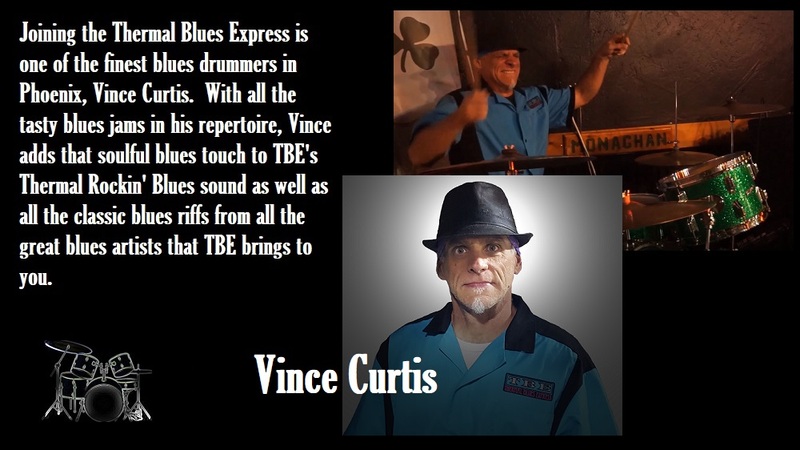 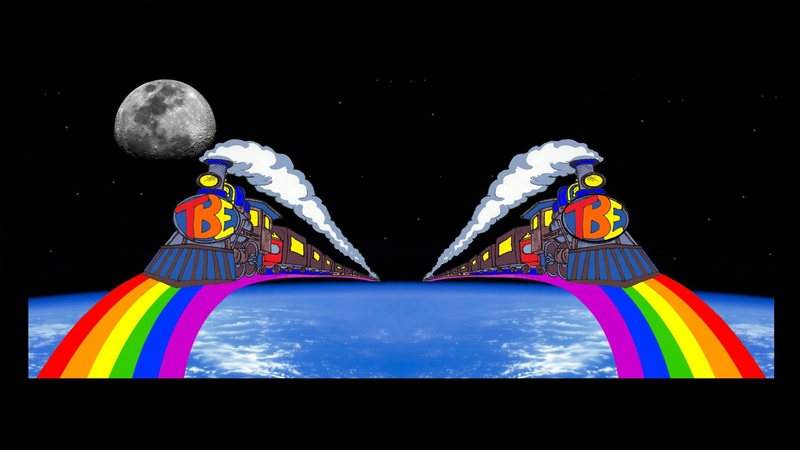 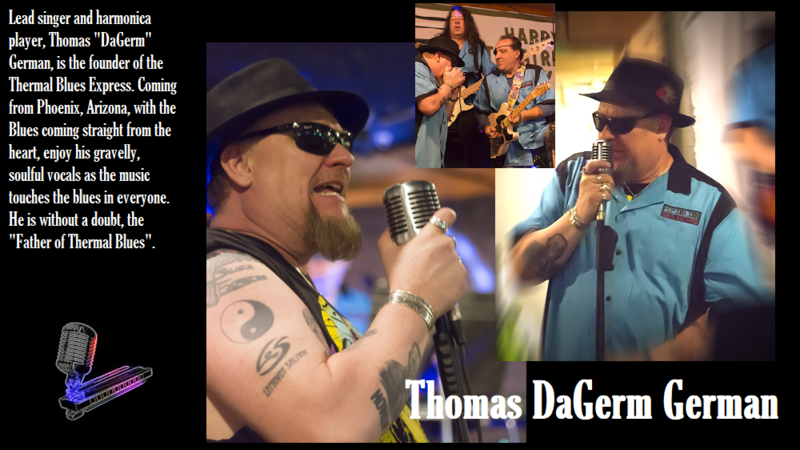 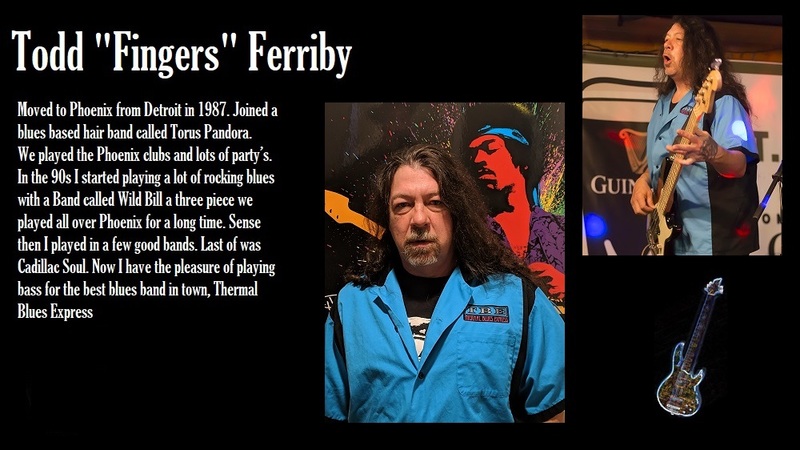 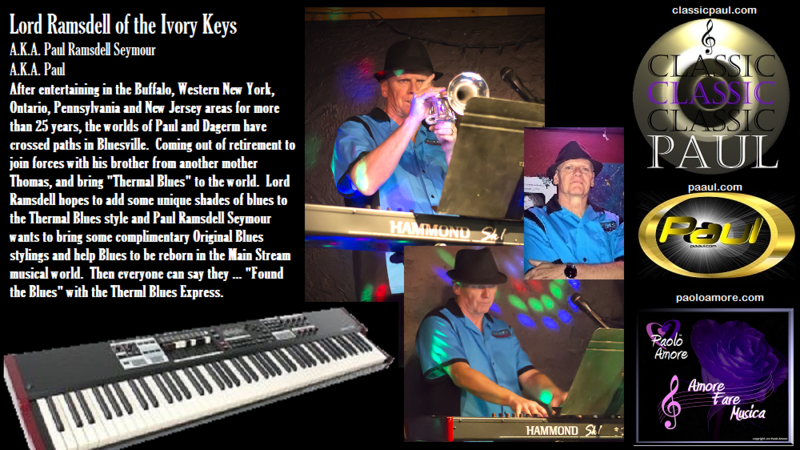 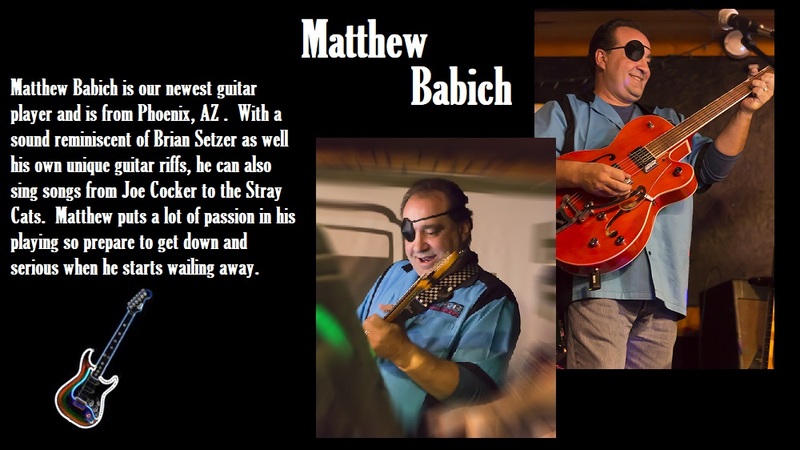 The Thermal Blues Express, featuring founder, harmonica player and lead singer Thomas "DaGerm" German and keyboard and instrumentalist Lord Ramsdell, is fast becoming one the Phoenix, Arizona's most popular Blues Bands. 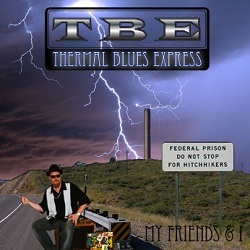 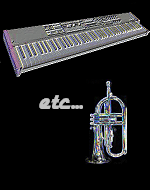 With a fresh, current original blues sound, and lyrics straight from the heart of DaGerm and Lord Ramsdell, plus classic blues and classic rock favorites, our "Thermal Blues" will most certainly reach out a touch the blues in you and have you going out to buy your very own harmonica too. 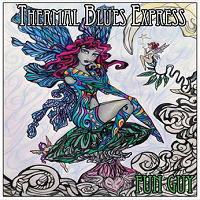 So put on your Wingtips ... put on those Shades ... the Thermal Blues Express has really got it made".